Welcome! 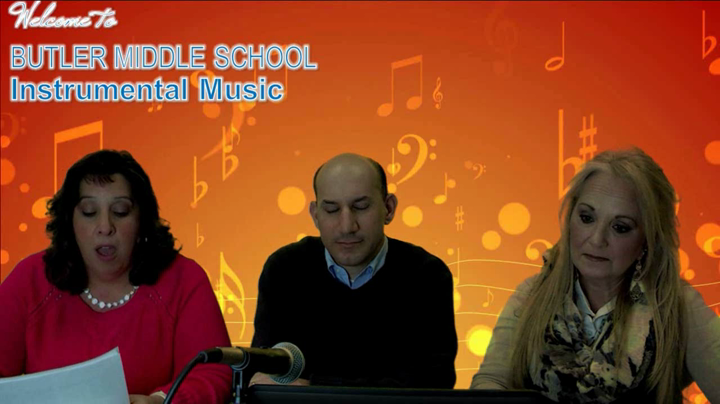 Here are some very important links as you and your child explore the opportunities in instrumental music at Butler Middle School (BMS). Watch the video to meet the teachers, learn more about the program, learn how to sign up! Students will receive a copy of the BMS Instrumental Music Packet, including the sign up form, at school. You can also download the packet. Help your child to select an instrument that they like the sound of. Please keep in mind we do not offer instruction on every instrument listed on this site. See the packet for instruments taught at BMS. You can sign up for an instrument fitting at your child's elementary school. Click the links below to view the sign up form for your child's school.